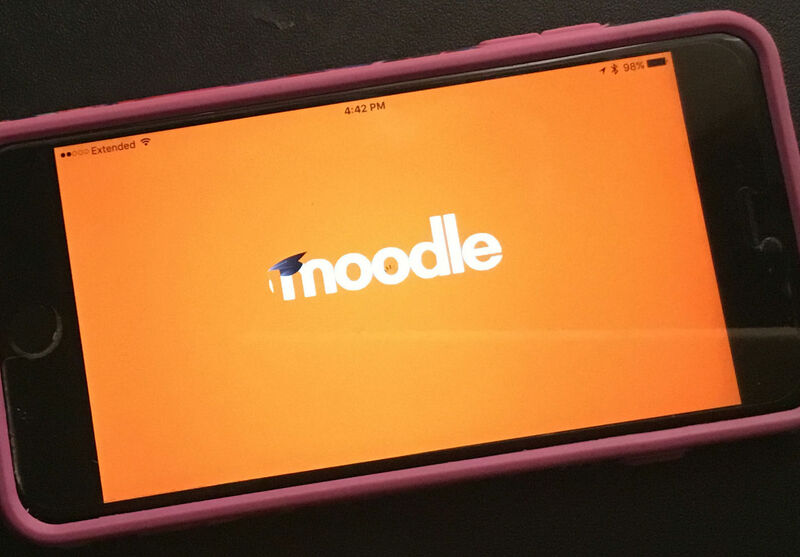 I had been looking at the Moodle Mobile App for a while, investigating this new tool. I was impressed that not only was it striving to make it easier to browse through a Moodle site and classes on a mobile device but was working on the assumption that some users may not have the bandwidth to spend long amounts of time on the internet and would need to download components to read, view or complete and upload if appropriate. Thus making Moodle courses more appropriate for more areas of the globe. This work in progress seemed to have made a lot of improvements/progress over its short life. I was impressed with what I was reading and wanted to explore and learn but now that I am “retired” from teaching didn’t have a class of students to experiment on. I am usually one of the those people who do a lot of reading and playing around with the features (and watching YouTube videos) to figure out the new features in Moodle or other technology. Then I discovered that MoodleBites (http://mobile.moodlebites.com) offers a Moodle Mobile MOOC twice a year for free. Now there was a possibility. Learn about the features, how to use the App and do it with other students to see how they do and the kinds of feedback they have on their experiences. Just what I needed. Why hadn’t I thought of looking for a class to take before? Perhaps I had been a teacher too long? It was a great learning experience. There were explanations about what could and couldn’t be done with the App, opportunities to try things out in the App and in the mobile browser, tips on how to make the Moodle class more friendly to the mobile environment, and lots of friendly feedback and communication. If you are trying to learn more about Moodle or other technology tools, considering taking a course, even if you are not new to the technology, it can be very helpful. There are great training opportunities out there that might actually save time in learning the process and the possible problems. Moodlebites from HRDNZ, a Moodle Partner, offers this Moodle Mobile MOOC course free in English and in French twice a year. Other Moodle related courses as well as this one other times of year are offered on the moodlebites.com website for fee. A “retired teacher”.Thirty two years experience in Education. 10 years with Moodle in K-12 and college levels. A "retired teacher". Thirty two years experience in Education. 10 years with Moodle in K-12 and college levels.